Nashville Shores features more than a million gallons of water fun. Experience Kowabunga Beach, a massive, four-story water treehouse and sprayground. 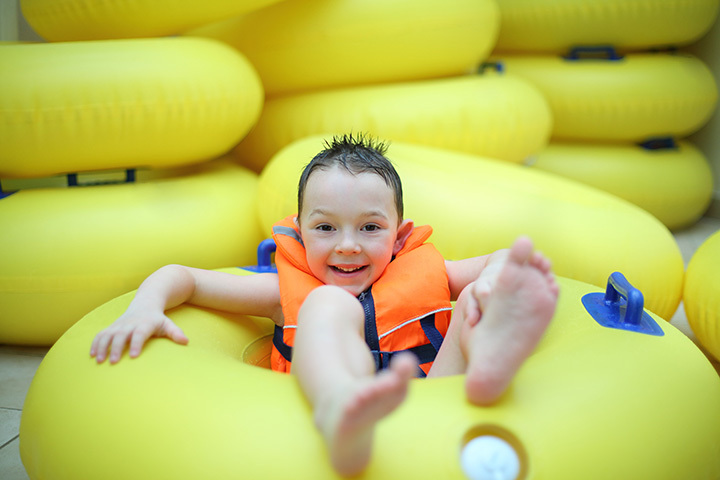 Brave the waves in Breaker Bay, an ocean-sized wave pool and don't miss Castaway Creek, Tennessee's widest lazy river - an incredible 17 feet wide. Blast at speeds of 35 mph down the exhilarating Music City Racer or plunge down thrilling water slides like The Big Scream. There is all-day, all-you-can-play water fun for everyone. Kids of all ages love getting splashed with the Giant Bucket of Fun. Close to 500 gallons of refreshing water is unleashed approximately every five minutes to cool you off and drench you on a hot, summer day.